Manufacturing innovations in recent years have meant that the size, style and specification of storage boxes is now almost limitless. That is why Trade Systems offers such a wide variety, one of the largest in the U.K.
With such a choice we want to be sure that we can offer our customers the most suitable storage option with the best service and the lowest possible price. 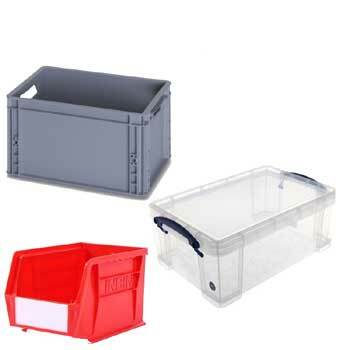 Our range includes storage boxes made from plastic, cardboard, polyethylene, as well as an ESD range for electrical components. 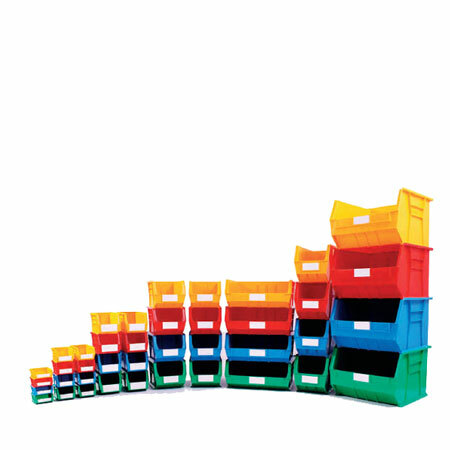 In recent years, plastic boxes have moved to the forefront of boxed-storage solutions. 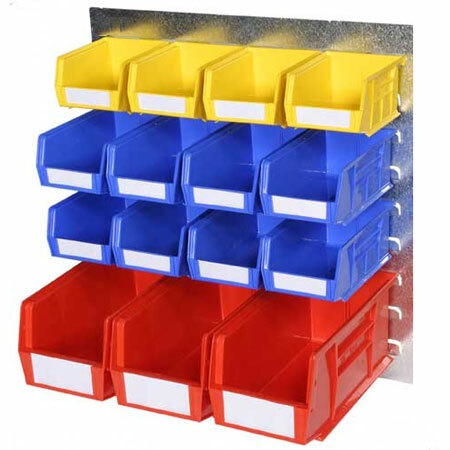 Moulded under extreme pressure to ensure consistency in dimension and loading capacity, plastic boxes are reusable (offering an excellent return on investment), hygienic, impervious to moisture, corrosion-free and easy to clean. 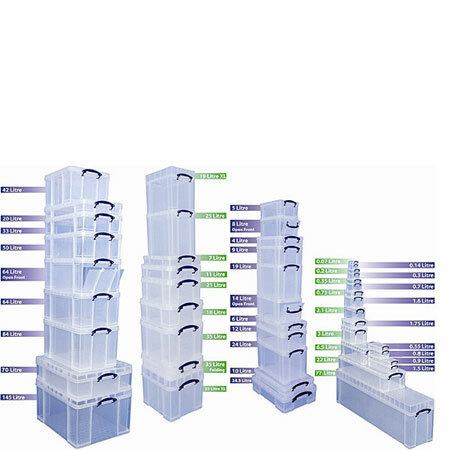 Our range of storage boxes and containers includes established brands - like Really Useful, Wham, K-bins and more general, multi-use boxes. Our ever-popular Really Useful Boxes are made from impact resistant, semi-transparent polypropylene and use the unique folding-handle design to lock the lid in place. 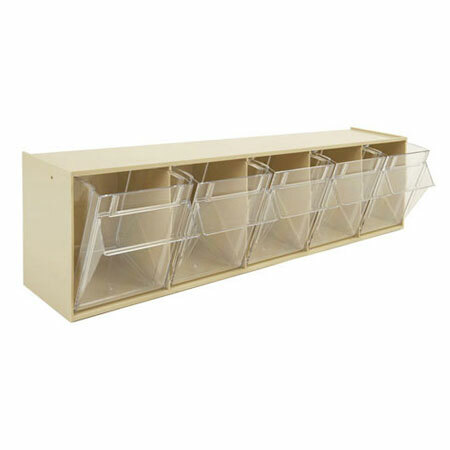 With straight sides to maximise inner storage space, reinforced edges to facilitate secure stacking and a translucent plastic construction to make visibility of content easier, the Really Useful Box has become the storage option of choice for warehouses, shops, offices, schools, medical centres and homes. 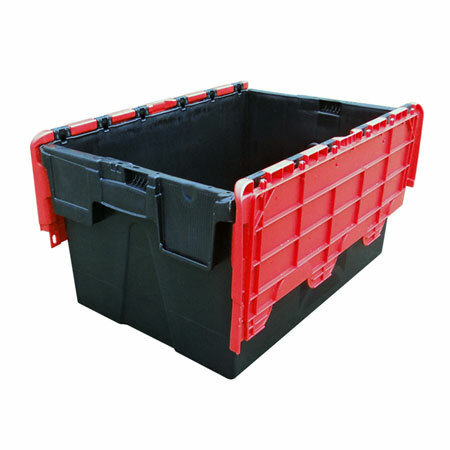 Our range of black and red Distribution Boxes are heavy duty and robust. These qualities make them ideal for moves, removals, storage. These boxes are often used in the entertainment industries such as theatre and film, where heavy expensive equipment needs to be transported safely and securely. Made from recycled plastic, these boxes are also better for the environment. Recycled plastic has virtually all the benefits and functions of the virgin plastic lids attached, although recycled plastic cannot be certified as food grade. These crates can be stacked when in use and nested when empty, making them ideal for transportation. Our Euro Containers are heavy duty and robust. 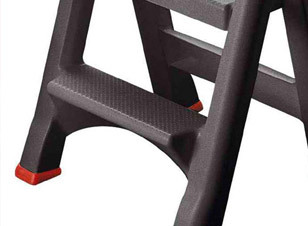 Made in Europe and conform to all EU manufacturing regulations. 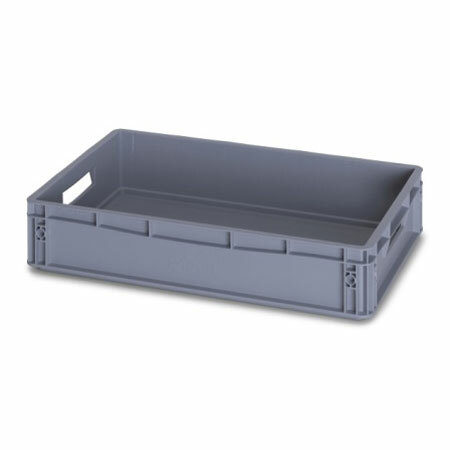 Manufactured from food grade polypropylene, this range of boxes are popular in the catering industry. Often used within bars, restaurants, green grocers and food production. 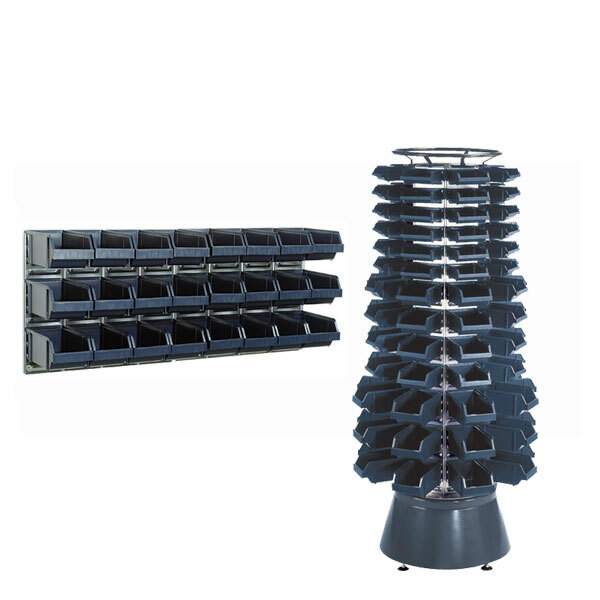 This stack and store range comes in 2 sizes (600mm x 400mm and 400mm x 300mm) and in a range of heights, this allows each box to be stored and stacked on top of each other. 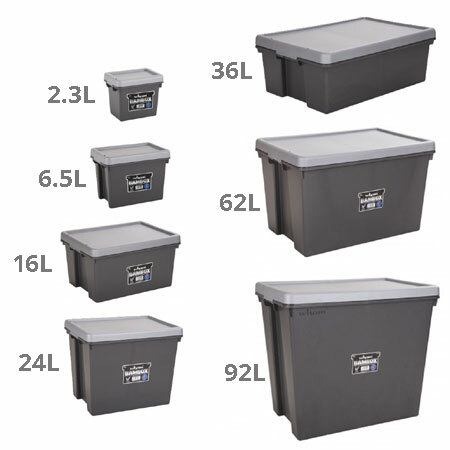 Wham storage boxes share similar properties and features to the Really Useful Box - versatility, stack-ability and semi-transparency - but differ in their lid design. Unlike the handle-lock of the Really Useful Box, the Wham plastic box instead uses simple clip-on lids. Our range of Wham boxes can also be 'nested' or stacked inside each other. This means they can be easily stored when not in use and they take up less space when being transported. 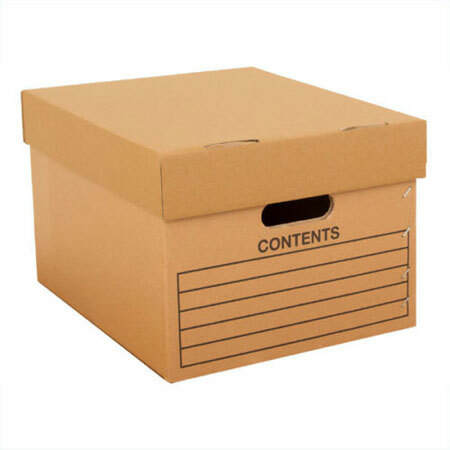 Cardboard storage boxes are often the favourite option for document storage - particularly because cardboard boxes are often lighter and cheaper than plastic boxes. 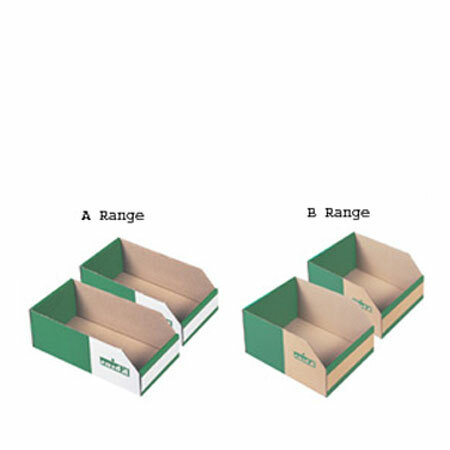 Supplied in flat-pack form, the boxes come complete with lids and have large labelling areas to identify the stored documents. These boxes are most commonly used in office and work environments where papers need to be accessed regularly but where the archiving storage area is guaranteed to be free from moisture and damp. Trade Systems always holds thousands of storage boxes and containers in stock. Available for next working day delivery or even same day delivery if your in London or the Surrey area. Just call Trade Systems on 0208 5492137 (or email us at sales@tradesystems.co.uk) to access quality products, excellent service and amazing prices.